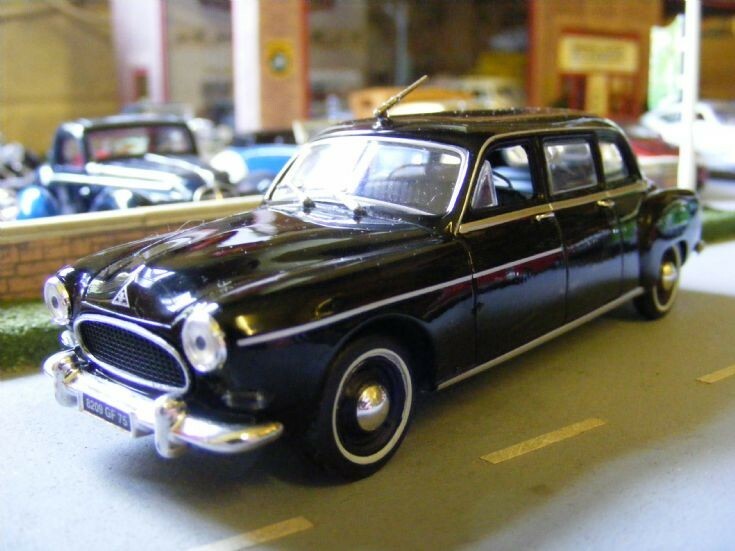 Atlas Editions produced a set of Presidential Cars and here we have a Norev Renault Fregate Limousine dating from 1957. It was the transport for Charles De Gaulle but it is not on official duties as there would have been a French Flag/Pennant on each front wing. A very nice and unusual 1:43rd scale model, suited to being a Museum Exhibit.